Nearly all major commercial insurance lines experienced premium renewal rate increases in October, according to the IVANS Index. In its analysis, only workers’ compensation remained in negative premium renewal rate territory, IVANS said. Business Owners Policy remains as the line of business with the highest premium renewal rate change, despite continuing its downward trend. Commercial Auto: 3.10%, up from 2.55% at the end of September. BOP: 3.57%, down from 3.87% the month prior. 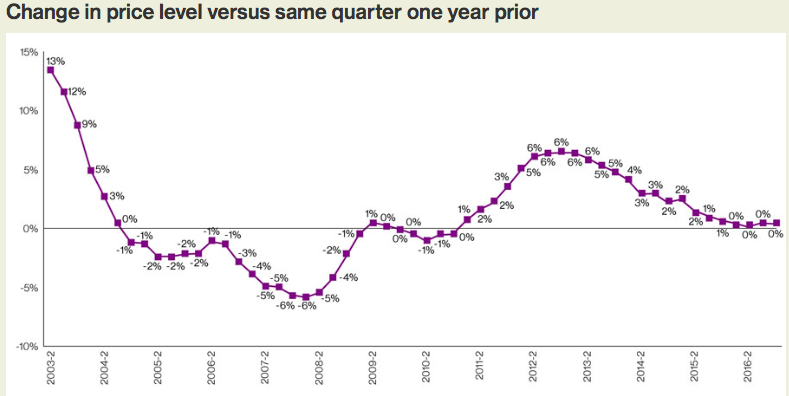 General Liability: 1.79%, up from 1.70% at the end of June. Commercial Property: 2.83%, up from 2.40% the month prior. Umbrella: 1.34%, down from 1.45% at the end of June. Workers’ Compensation: -2.24%, down from -1.31% the month prior. Analyzing more than 120 million data transactions, the IVANS Index measures the premium difference year over year. Despite ample capital and benign claim cost trends, insurers have held the line on trading profitability for volume, while still responding as needed to emerging trends, according to Willis Towers Watson. 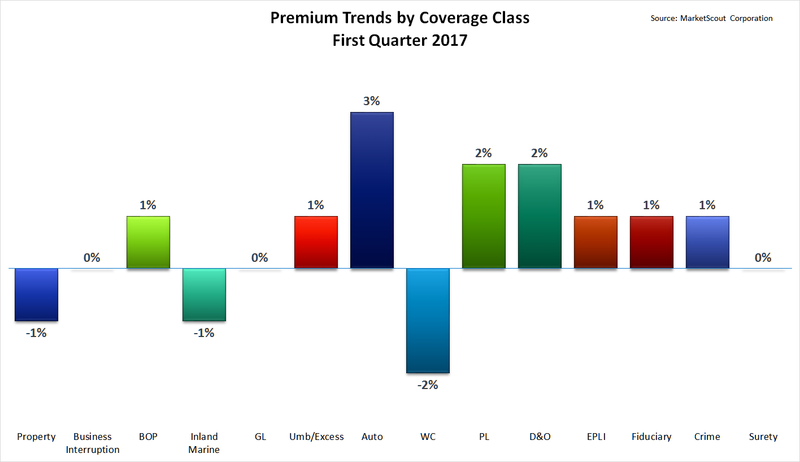 Its most recent Commercial Lines Insurance Pricing Survey (CLIPS) shows that commercial insurance prices in the U.S. were nearly flat in the first quarter of 2017. Price changes reported by carriers averaged less than 1 percent for the sixth consecutive quarter. Four lines (workers compensation, commercial property, directors and officers, and surety) showed modest price decreases. Commercial auto remains the outlier with meaningful price increases reported. Two broker surveys give insight on where U.S. commercial insurance prices are at. As you can see above, price changes reported by carriers were less than 1 percent for the fifth consecutive quarter, following a moderating trend in price increases that began in the first quarter of 2013. The outlier in the results? Commercial auto, where meaningful price increases continue to be reported. Price changes for most other lines fell in the low single digits, according to the CLIPS survey. Marsh said the continuing decline in U.S. commercial insurance prices was driven largely by decreases in property insurance pricing. However, U.S. cyber liability rates continued to increase for the sixth consecutive quarter, albeit at a moderating rate, Marsh noted. Cyber price increases don’t appear to be deterring businesses from buying this essential coverage. The number of Marsh clients purchasing cyber insurance increased by 25 percent from 2015 to 2016 across all industries, with the greatest overall uptake in healthcare, communications, media and technology. See more on the importance of cyber insurance to businesses in this Insurance Information Institute (I.I.I.) white paper. Significant trends shaping the property/casualty insurance business are discussed in this I.I.I. presentation.